In 1996, the first product line for Keystone was the Sprinter, and since then, they have spent years listening to the ideas and desires of their many customers to make a better camper. 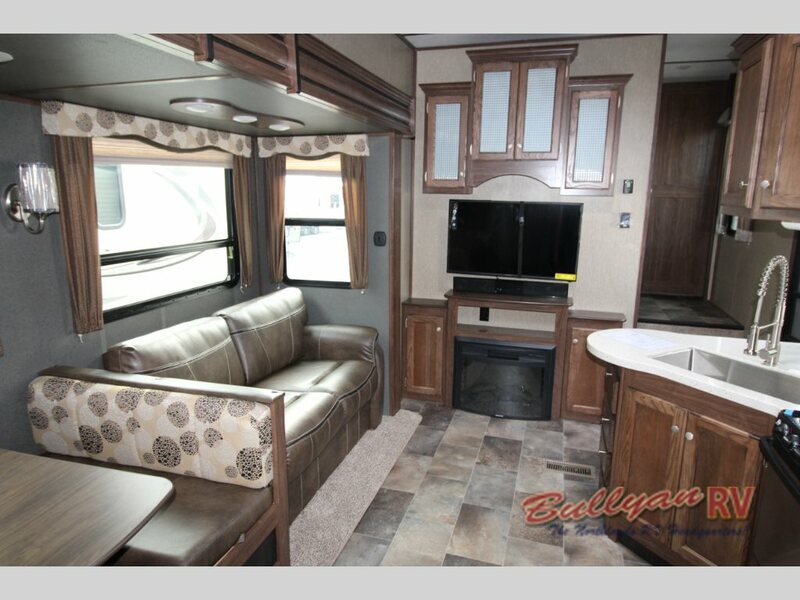 Therefore, when you take a look into getting a Keystone Sprinter fifth wheel, you will be getting an RV that has more functional amenities whose sole purpose is to make camping easier and more enjoyable. Plus, with fourteen different floorplans, you will have a lot of options to choose from in order to get the perfect one for you. 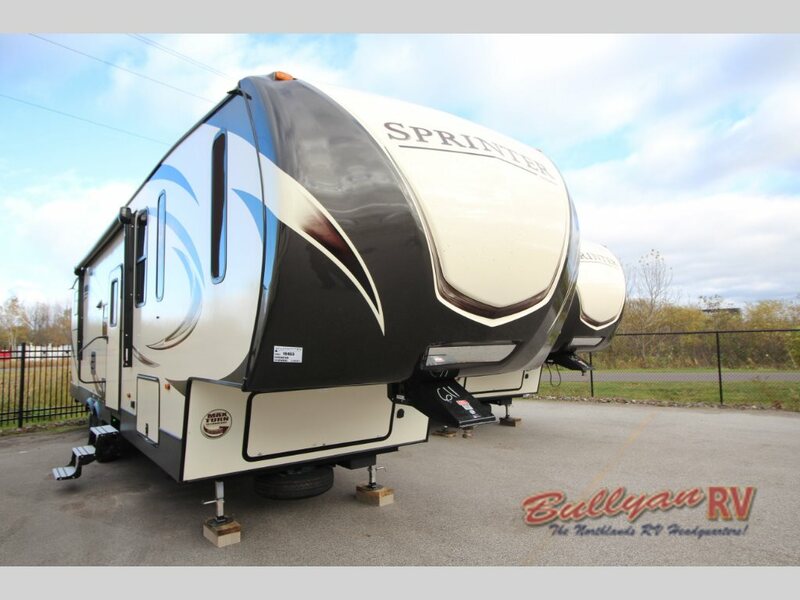 Check out the Keystone Sprinter Fifth Wheel! Depending on the model of Keystone Sprinter that you want, you will be able to get a floorplan featuring between one and five slideouts. 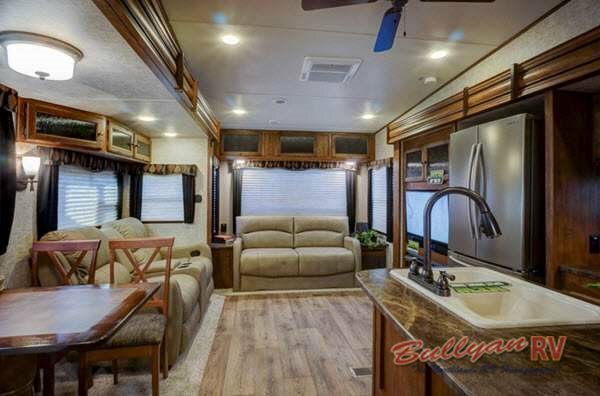 With spacious interiors for each model, you will have more than enough room for all of the amenities and features you need to make RVing better. For instance, the furniture in this fifth wheel will be residential size and quality. From the tri-fold sleeper sofa in the living room to the Dream Collection bed with storage underneath in the master bedroom, there will be ample spots to sit back and relax. Residential furniture and appliances make a perfect home away from home. Another area where the Sprinter fifth wheel excels is in the electrical upgrades. Not only will it have multiple cable television hook-ups in both the living and bedroom for added entertainment functions, but it will also have some very practical additions. Things like a washer and dryer hook-up area and the wiring and framing for a second air conditioning unit allows you to bring all of the creature comforts of home to the outdoors. 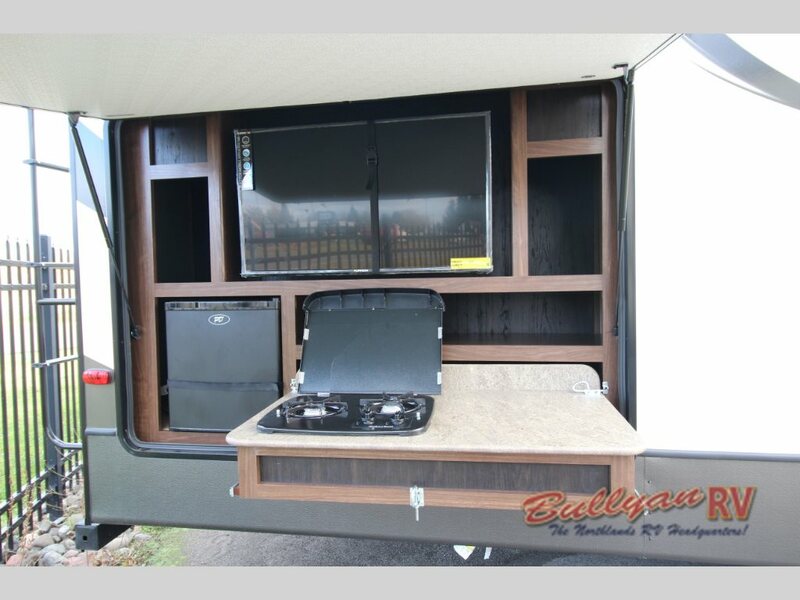 For many years now, Keystone has been working to make a perfect RV to fit the needs of their customers, and with the Keystone Sprinter, you will get a fifth wheel that is full of amenities to create the best RVing experience possible. Feel free to contact us or stop by our location to ask any and all questions about this model. Then, you can drive home with one knowing exactly how it will bring lavishness to the wilderness.